We’d love your help. 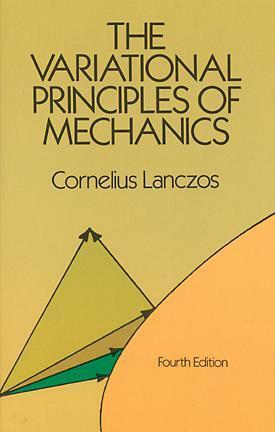 Let us know what’s wrong with this preview of The Variational Principles of Mechanics by Cornelius Lanczos. Philosophic, less formalistic approach to perennially important field of analytical mechanics. Model of clear, scholarly exposition at graduate level with coverage of basic concepts, calculus of variations, principle of virtual work, equations of motion, relativistic mechanics, much more. First inexpensive paperbound edition. Index. Bibliography. To ask other readers questions about The Variational Principles of Mechanics, please sign up. If Coopersmith's "The Lazy Universe" left you with a lot of unanswered questions (as it did me) Lanczos's book (which is frequently mentioned by Coopersmith) should answer them. All the things that are handwaved-over in the former are nailed down here, with a fine attention to detail, while still never losing sight of the big picture. The really great thing about this book is that while it is a full on textbook of the subject, it discusses the history and philosophy of the subject as well as presenting the mathematical formalism, something very uncommon. I used to have this Dover edition, now I have an older one that I like less. The Dover edition covers some aspects of relativity and its relationship to this formulation of mechanics that aren't included in the older one. The finest text on classical mechanics I've ever read. Lanczos offers some of the most intuitively appealing explanations ever written on this wonderful subject and simultaneously manages to preserve its inherent mathematical elegance and beauty. This, in addition to the fact that Dover Press is offering the text at an extremely low price, makes the book a "must have" for anyone even remotely interested in the subject of dynamics.